Everyone knows that there are 52 weeks in a year, right? Well, not always. In the world of accounting, there’s something called a 52-53-week fiscal year. Adopting a 52-53-week year — also sometimes referred to as a 4-4-5 calendar — could result in financial and accounting benefits for your business. While the standard Gregorian 12-month calendar works well for keeping track of dates and separating the seasons, it wasn’t designed with accounting in mind. The problem occurs with month-end closings, because each month ends on a different weekday. This can make comparing monthly activity misleading since the month-end day of the week varies. A 52-53-week year segments the fiscal year into four- and five-week blocks, instead of calendar months, with closings occurring on the same day at the end of each block. As a result, the length of the year will vary from 52 to 53 weeks. Adopting a 52-53-week year will give the accounting department greater certainty and makes it easier to compare time periods. And this, in turn, results in more accurate and comprehensive data analysis. When adopting a 52-53-week year, the end of your fiscal year does not have to land on the last day of the month. However, the fiscal year does have to cover 12 straight months and terminate on the identical weekday in a specific month each year. This can be on the date this same weekday last falls in a calendar month, or on the date this same weekday occurs that’s nearest to the last day of the calendar month. For example, if you elect a fiscal year that ends on the last Friday in March, your 2018 tax year will end on March 29, 2019. Note that adopting a 52-53-week fiscal year generally has little if any impact on taxes. In addition to improved data analysis, another big benefit of adopting a 52-53-week fiscal year is that it makes it much easier to maintain regular and uniform operating statistics, since the time periods are consistent with each other. Timekeeping, reporting and invoicing are also synchronized to correspond with the uniform time periods. Using a 52-53-week fiscal year also eliminates a common problem with timesheet reporting that’s often used by professional services businesses like law firms. The problem arises when a week’s end doesn’t correspond with the month’s end. So if the firm maintains time charges weekly but maintains its accounting and invoices clients on a calendar month basis, periods will not match. When this happens, billable hours must be carried over to the next month, which leads to deferred billing and revenue recognition. The biggest potential drawback to adopting a 52-53-week fiscal year is that some of the more basic accounting software packages like QuickBooks don’t accommodate it easily. Therefore, you might have to upgrade your accounting software to realize these benefits. The month when the new 52-53-week tax year ends. The weekday when your new fiscal tax year will end. The date on which your tax year will end, which must meet the requirements detailed above. Note that some types of businesses are required by the IRS to operate on a calendar-year basis and thus cannot adopt a 52-53-week fiscal year. You should talk to a professional tax advisor to find out if your business can adopt a 52-53-week fiscal year and whether there might be any potential drawbacks to doing so. Adopting a 52-53-week fiscal year could result in financial and accounting benefits for your business by giving the accounting department greater certainty and making it easier to compare time periods. This, in turn, will result in more accurate and comprehensive data analysis. The strategy also makes it easier to maintain regular and uniform operating statistics, since time periods are consistent with each other. 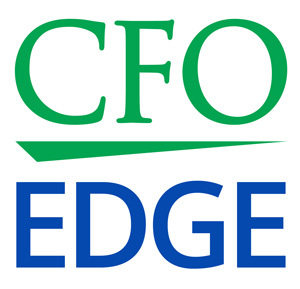 A part-time CFO or a project CFO, working in an on-demand capacity, can help you analyze the benefits of adopting a 52-53-week fiscal year, as well as help implement the approach correctly.